Bring out your inner cowboy with the selection of Western leather suspenders for men from the SuspenderStore. No one can match our handsome Western selection of leather suspenders. Our Apache Western galluses have steel diamond-shaped Conchos over two layers of rustic leathers. Dark, exposed stitching creates a contrasting border on these distressed leather braces with metallic trigger snap attachments and Y-back styling. The buckle strap adjusters allow you to change the length. Our cowboy suspenders also include handcrafted western suspenders, tooled leather western suspenders, plain all leather suspenders and even leather suspenders with a Mossy Oak camouflage print. Our Handcrafted Western leather suspenders are specifically designed to fuse frontier fashion and modern sensibility to give you the perfect pair of ranch hand style galluses. These hand-crafted, American-made leather suspenders have been meticulously hand tooled, leaving you with a durable product that’s built to last through even the dirtiest jobs. Our 1.5-inch leather suspenders feature a stylish and traditional Y-back and brass trigger snap attachments that clip onto your belt loop. Rugged elastic on the back portion allows for extra strength and adjustability. 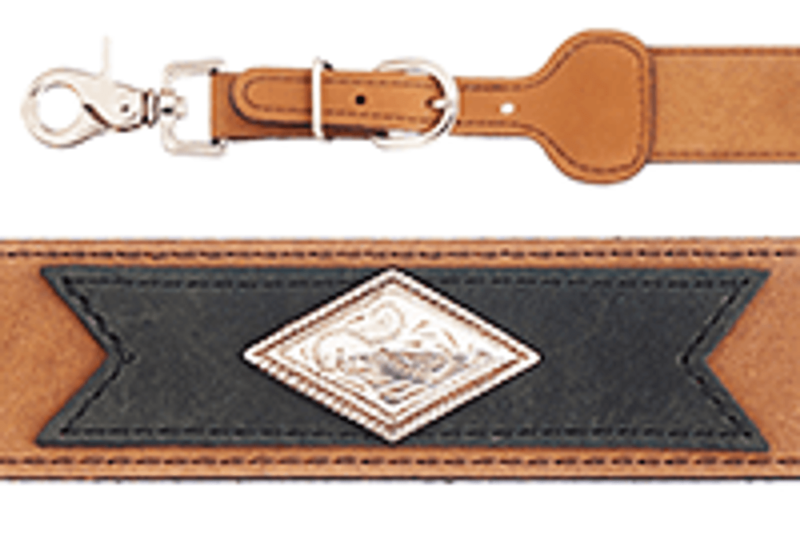 We carry Handcrafted Western suspenders in a variety of unique colors and designs, ranging from plain all leather Western suspenders to chain stitched varieties to border stamped leather suspenders, so you can choose the texture and design that speaks to your individual tastes. Most of these refined styles come in both brown and black, giving you plenty of styling opportunity. Available in three sizes, these versatile suspenders are designed to give you a perfectly tailored look. Our unique men's horsehair suspenders are hand-braided in America using the finest horsehair and premium leather. Choose from an earth weave, sierra weave or sky weave color pattern for these horsehair braces available exclusively at SuspenderStore.com. The Y-back has a leather cross patch. Choose trigger snap, heavy-duty clip or button tab attachments. These sturdy horsehair construction leather suspenders are 1.38 inches in width and almost a quarter of an inch thick. Order yours in small, medium, large or extra-large.